According to scholars of English surnames we will not have success trying to trace individuals using their surnames much before the year 1200. Prior to that time there was little need to identify anyone other than by his or her forename. Most business or travel was confined to the local area, for most within no more than the walk to the nearest market town, usually no more than a radius of six or seven miles. 1 In most regions population levels were low and people thinly spread. Local context provided any clues needed to differentiate several individuals of the same forename. It is this last class of names that supplied our family with the surname Pettypool. Hey notes that when locations have been the source, most often “families took their surnames from the places that they had just left when they took up residence in some distant town or village”. 3 Before the rise of universal literacy and the standardization of spelling in the nineteenth and early twentieth centuries, it is such moves into regions with even slightly differing language patterns and dialects that may account, in part, for the early variations in the spelling of Pettypool that we will encounter. Surname variants are also thought to arise when there are existing names or parts of names in a new district that resemble the recently arrived surname. Locals try to assimilate the transported name into a pronunciation and, subsequently, a spelling that is most familiar to them. This assimilation process may offer yet another clue about how alternative renderings of the Pettypool surname were arrived at. 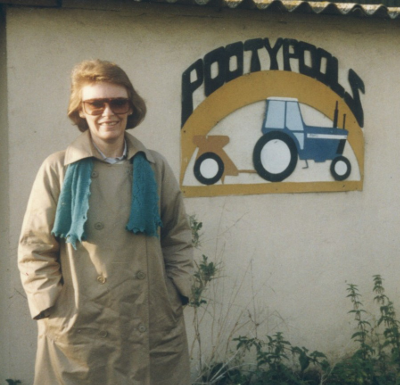 Pooty Pools Farm is still an active agricultural enterprise. A modern view of the farm can be found at the website of DR Metson & Partners, Pooty Pools Farm, Roxwell, Chelmsford, Essex. Information about the Roxwell area can be found at the Roxwell Parish Council website. Suggestions for the origin of Pooty Pools, the place-name, remain highly speculative. Noting that the word “pooty” meant “snailshell” in some dialects, in an earlier publication I suggested this meaning as a potential placename source.6 Alternatively, Roper has proposed that the fore part of the name could come from an “Old English uncompounded personal name such as Putta or Pud(d).”7 Not surprisingly because of its apparently very ancient age, Pooty Pools Farm may never yield sufficient evidence to confirm with certainty its ultimate place-name origin. read the document online as a FlipBook , click here. Christopher Dyer. Making a Living in the Middle Ages: The People of Britain 850-1520. (New Haven: Yale University Press, 2002), 191. David Hey. 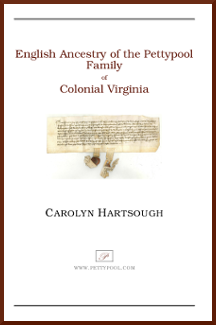 “The Origins of English Family Names.” Family Names and Family History. (London: Hambledon & London, 2000), 51-80. David Hey, Family Names and Family History, 75. A. C. Edwards. A History of Essex. (Chichester, West Sussex: Phillimore & Co., Ltd., 2000), 14. Michael Roper. “Early Place-names within Roxwell.” Article. More Roxwell Revealed (Roxwell, Essex: Roxwell Revealed Publishing Group, 2005), 15. Carolyn Hartsough. "From a farm called Pooty Pools to Pettypool– truth may indeed be stranger than fiction." Article. Journal of One Name Studies. Vol. 9, No. 10 (2008): 14. http://www.one-name.org/journal/vol9-10.html: accessed 1 December 2012.